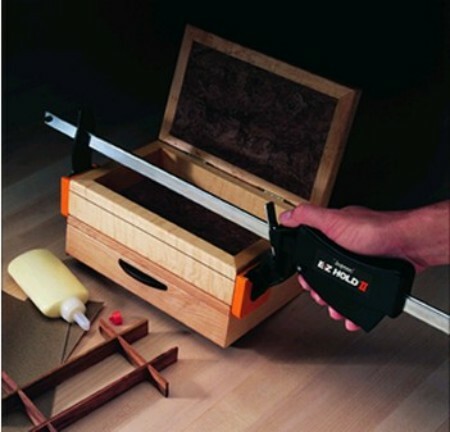 So you’re looking to get into woodworking, and you figure the cheapest route is probably to avoid the big expensive power tools and go with small hand tools. You figure, it was good enough for our 18th century forefathers, it’s good enough for you. Then you get the shock from seeing the price of some of the nicer planes on the market. Well, Anant out of India has got the planes you want at more reasonable prices for the everyday normal guy. I need to hit up the Toolmongers for advice on working with RG6 CATV coaxial cable. Firstly, if I need to splice two segments, how should I do it? 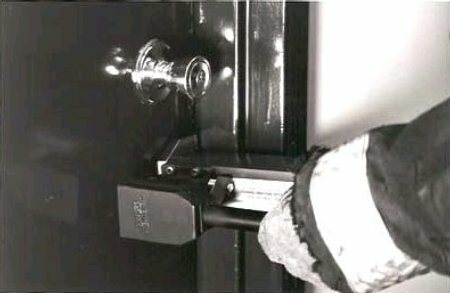 It needs to be weatherproof; are there specially rated connectors for outdoor use? 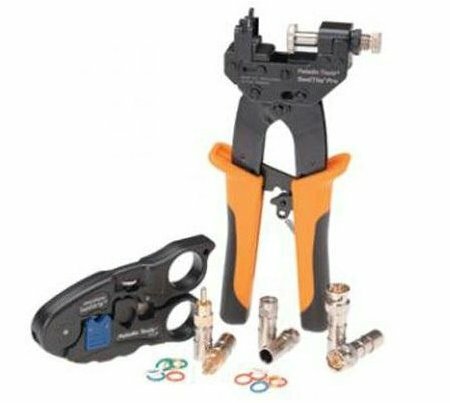 I want to get a starter tool set for crimping and/or using compression connectors on RG6. I don’t want to spend an arm and a leg, but on the other hand I’m tired of using the crappy twist-on F-Connectors. Any of you Toolmongers out there know where I can get a cool stripping/crimping kit online that’s good enough for occasional, non-pro use and will last beyond my first crimping job? It seems to me that I can just pick up the first two and be done with it. Do you have experience with any of these? Are the Paladin kits worth the extra dough? Your help on this in comments will be much appreciated. I just saw this 101-piece bit set in my local ‘Depot circular. It’s available in stores for just under $9, but even at $10 online it’s a pretty good buy — especially considering that my trusty ratcheting screwdriver has always been a go-to standby. Hell, the handy dandy case alone is probably worth $10. 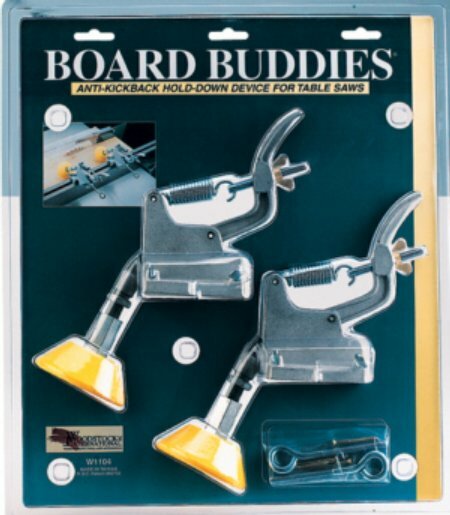 If you’re not sold on the traditional featherboard as kickback protection and you want something that’ll glide a little easier along your workpiece, you might want to give Board Buddies a try. Instead of numerous little “fingers” rubbing against your workpiece as you run it through your table saw, the ‘Buddies sport two wheels (that roll in only one direction) to provide constant pressure via a set of springs. The result: a nice smooth cut with no potential for chattering, and since the wheels won’t turn backwards you have the kickback protection you need. By Rick Reimundez On November 9, 2007 · 8 Comments · In Doh! 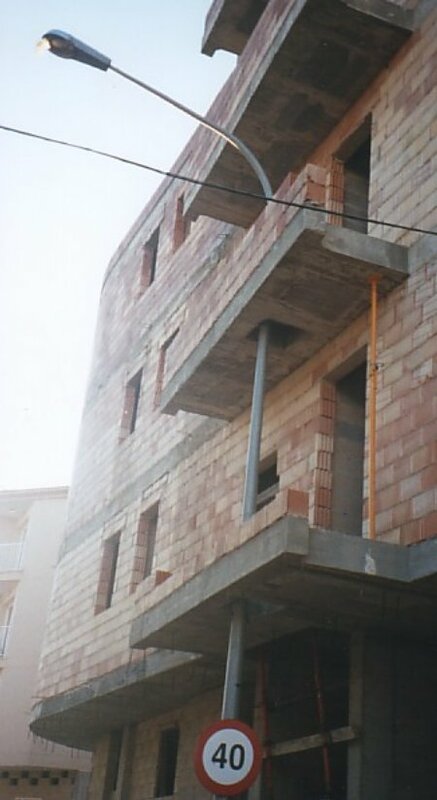 This is a picture of a building under construction — in Spain, I believe, because I heard about this from my dad when he saw the picture it in a local newspaper there. But this is what happens when people throw the plans to the wind and insist on doing things their way. You might want to print a picture of this and hang on to it so the next time you think, “Damn codes!” you can pull it out and look at it. Traditional drilling systems — especially modular core bits — are often made up of multiple pieces, like extension shanks, centering bits, and threaded arbors. The gaps between these pieces compromise the bit’s strength, and any time you want to use them or switch sizes, you have to piece it all together. Metabo’s newly-released a one-piece core bit family claims to solve that problem, making the bits easier to use and more effecient (read: faster) at drilling through concrete, block and brick. Sorry for the grainy photograph, but I actually saw this at a buddy’s house and snapped a pic to share. The extension cord went behind that wall to the boiler room where he has his network devices — router, Vonage VOIP box, etc. — installed and wired out to the rest of the house. 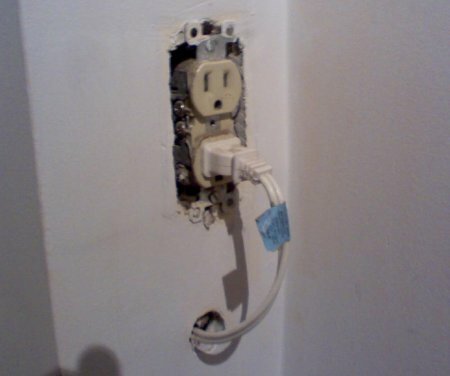 He said he used what he had on hand — an extension cord and hole saw. I’m hoping seeing it on Toolmonger will shame him to remedy this. Feel free to help shame him in comments by, say, explaining why this is prohibited by code. Ok, so it’s not meant to be deadly, but it sure looks that way to us. 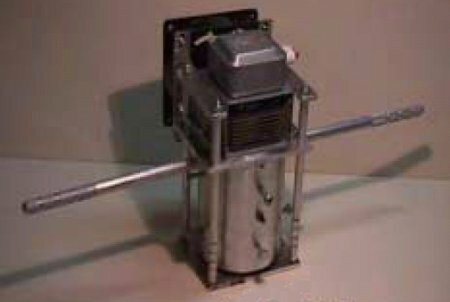 This drill employs microwaves to drill through concrete, stone — and even glass without breaking it. And it produces no dust or noise, either. Of course, stray microwaves can effectively cook your internal organs if you’re not paying attention, so, um, pay attention. 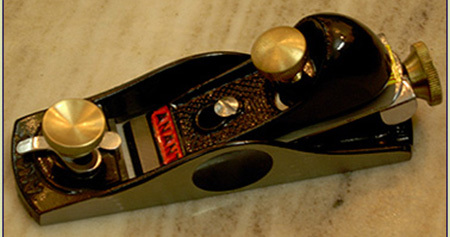 Here’s another tool for breaking s#@! from the firefighters’ playbook. It’s called the Rabbit Tool by most, although it’s officially the Hydra-Ram. Whereas many of the other fire and rescue tools we’ve featured require some pretty violent swinging force — or a powerful pneumatic or hydraulic power source — to get the job done, the Rabbit Tool just needs one guy squeezing the handle and the tool together.